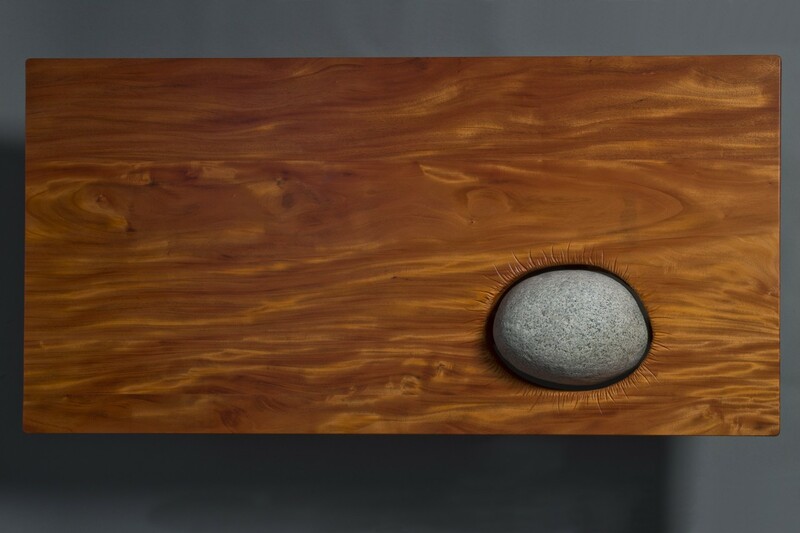 The Eddy Coffee Table features a natural beach stone gripped tightly in a carved mahogany base. 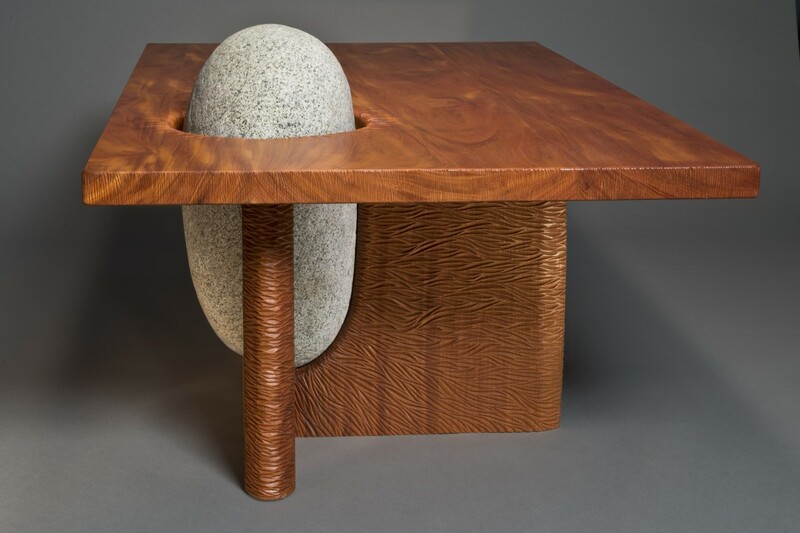 The stone emerging through the side of the base and the wood table surface evokes the feeling of a stone in the river or a Japanese rock garden with raked sand. 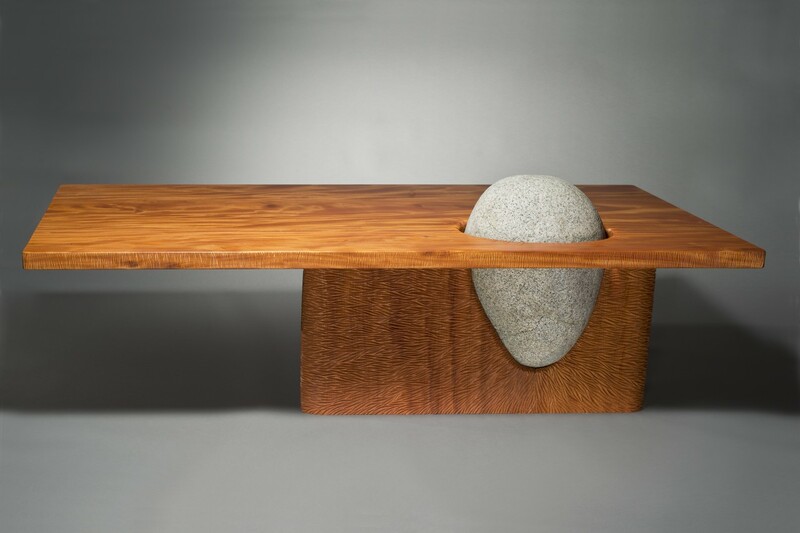 Different and dramatic from every angle, the weight of the stone is used to balance the cantilever of the top. 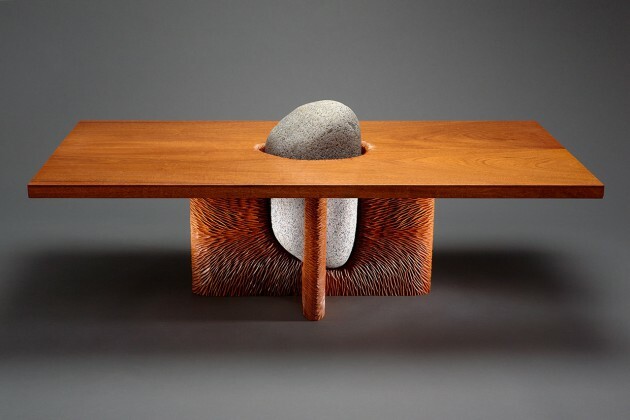 For shipping or moving more than a short distance, the wood top can be removed and the stone lifted out of the carved base. 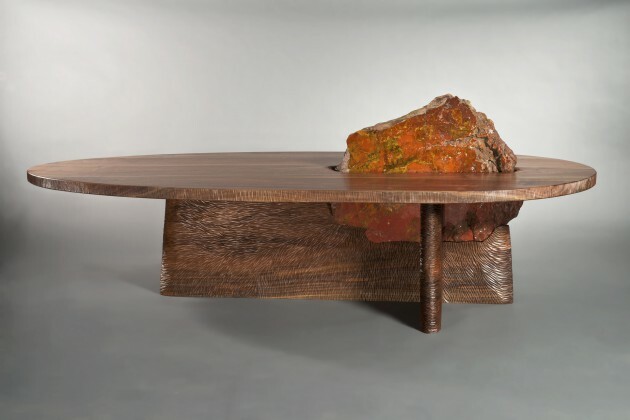 Related coffee tables in this series are the Tsubo Coffee Table and the Cleft Coffee Table.